Army Chief General Bipin Rawat will start his two-day northeast visit from Sikkim on Thursday. In Sikkim, the Army Chief will take stock of the situation that has become tense after Chinese army destroyed two India bunkers in the Lalten post in the Doka La general area in Sikkim in the first week of June. General Rawat will meet the formation commanders and take stock of the Indian preparedness, reports suggest. The Army Chief's visit comes in the backdrop of China's attitude after the incident. On June 20, China created hurdles in annual Kailash Mansarovar yatra by saying that pilgrims will not be allowed to enter Tibet as 'a bridge had broken'. The Sikkim route to Mansarovar, which is in Tibet, was opened in 2015. The Chinese Government's mouthpiece The Global Times on Tuesday said in an op-ed piece that China must force the Indian troops to retreat "by all necessary means" and New Delhi must be "taught the rules". After India launched its protest over Chinese aggression in Sikkim, Beijing blamed New Delhi for the Sikkim stand-off. Chinese foreign ministry statement said, "The Indian border guards crossed the boundary in the Sikkim section of the China-India border and entered the territory of China, and obstructed normal activities of Chinese frontier forces in the Donglang area recently, and the Chinese side has taken counter-measures." 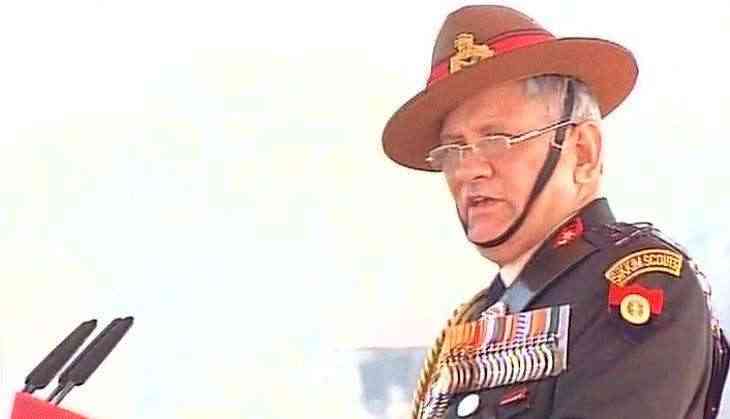 Army Chief General Rawat will also visit a number of other formation headquarters in the Northeast.